Five hundred years ago, a stubborn and towering thinker named Martin Luther lodged his complaints against the church and launched a religious revolution that is still felt today. Luther’s leadership enabled him to stand strong, despite being labeled a heretic and excommunicated. 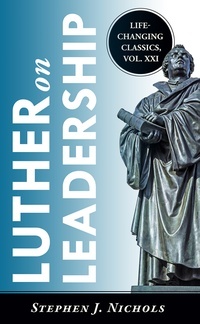 This volume in the Life-Changing Classics series outlines five leadership tenants of Luther, the man whose theological trajectory allowed millions to find a personal relationship with God. Learn how this seminal figure stood up for his beliefs and saw that truth was dispensed to the masses. Leadership is costly, lonely, and wearisome, yet Luther stayed true to his convictions and changed the course of history! Read what made this theologian a hero whose impact is still celebrated centuries later.